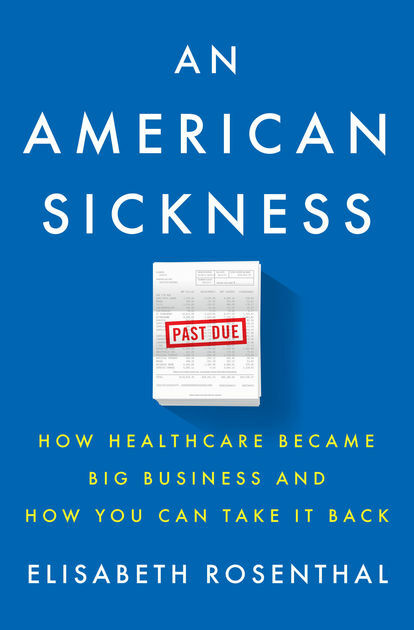 American Sickness by Elisabeth Rosenthal is an exhaustive, detailed look at the American healthcare system. The author examines every facet of healthcare, going back to the beginning in order to understand how we have gotten to where we are. If there is one overriding theme that one could point to as the cause of skyrocketing healthcare costs, it is greed. Our healthcare system has morphed from a patient-centric system to one where profits come before patient care. The first half of the book is a history lesson. What were things like before there was health insurance? When did things change from a need to protect people to one where maximizing profits became the primary goal? Along the way, the author uses real-world examples culled from actual patient bills to illustrate just how out-of-control things have become. The second half of the book looks at what needs to happen in order to gain control of costs. The author offers a wide array of solutions. The first step is to be more proactive with your own healthcare. Ask questions. Challenge unethical practices. One example the author gives is a patient who is visited by an anesthesiologist. The anesthesiologist stops by the patient’s hospital room. “How are you doing?” “Fine, thanks.”Okay, let me know if you have any questions?” The anesthesiologist leaves and the patient finds out later that he or she was charged a $500 consultation fee. The second step in controlling costs is government intervention. There are going to be a lot of people who are going to argue against this. The government shouldn’t be in control of my health. Regulations hamper innovation. The truth is that the benefits of sensible government intervention and regulations far outweigh any negatives. For example, a government-controlled fee schedule would prevent wide disparity in charges for the same procedure. A national health database would allow patients to have their health records stored in a single location, accessible to healthcare providers anywhere, elliminating duplicate and unnecessary tests. Many of the problems we have today are the direct result of politicians bending to the demands of political donors over the interests of their constituents. What about the Affordable Care Act? The author calls it a good first step. Unfortunately, Republican opposition and efforts by industry PACS have weakened its effectiveness. There are hundreds of examples of outrageous charges and bills from actual patients. One that stood out for me involved a plastic surgeon who charged $50,000 for three stitches in a toddlers face. The parents of the child not only complained to the hospital, the doctor, and to their insurance company, but they also sent a copy of their complaint to a plastic surgeon professional group. The pressure from the complaint eventually led to a final bill of $5,000. This is one book where I listened rather than read. The deluge of facts and figures were easier to consume. I highly recommend this book. I especially recommend this book to the regulators and healthcare professionals who are in the best position to make the changes needed.